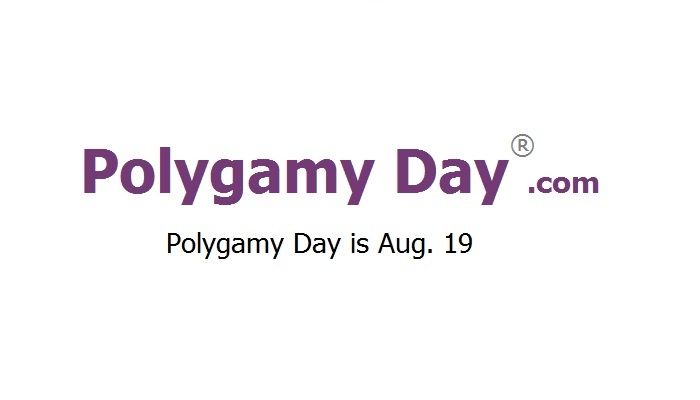 August 19, 2014, is the FOURTEENTH Polygamy Day ®. Many significant events have occurred over the previous year, all leading up to this year's celebration of "Polygamy Day ® 14." On December 13, 2013, "De Facto" Polygamy was De-Criminalized in Utah by Federal Court, with the Brown v. Buhman decision. This is a powerfully importat decision. It struck down the "cohabitation prong" of Utah's biamy law, ad limited the "purported to marry prong" to only state-licensed marriages. The result in Utah is that, as long a Utah polygamous family does not have any more than the one state marriage license, the bigamy law can not be used against them for merely cohabiting or purporting to be married. If this goes to the U.S. Supreme Court, the ramifications for nationwide freedom are immense. On July 4, 2014, the new movement of Christian Polygamy celebrated its 20th Anniversary. Not being connected to any form of Mormonism, Bible-based evangelical Christian Polygamy began on July 4, 1994. This modern young movement is what paved the way for the overall national polygamy rights movement of unrelated consenting adults. With such significant events happening over the previous year, UCAP supporters continue to have much to consider as well as to celebrate on August 19, 2014, "Polygamy Day ® 14."